UK retailer Mamas & Papas. In today’s hyper-competitive market, retailers who find their ‘unique engagement proposition’ will be the ones who survive, according to London-based creative agency Dalziel & Pow. The agency has created some of the world’s most innovative retail spaces, including designs for Lululemon and Missguided, and marketing and business development director, David Wright said consumers have changed more in the last five years than in the previous 25. “From Gen Z to Boomers, this evolving, diverse audience is more demanding, better informed and more creatively empowered than ever before,” he said. Rather than compete on price in a race to the bottom, Wright said retailers should rise to the top by elevating themselves with a clear reason for existence, better ideas and more engaging experiences. 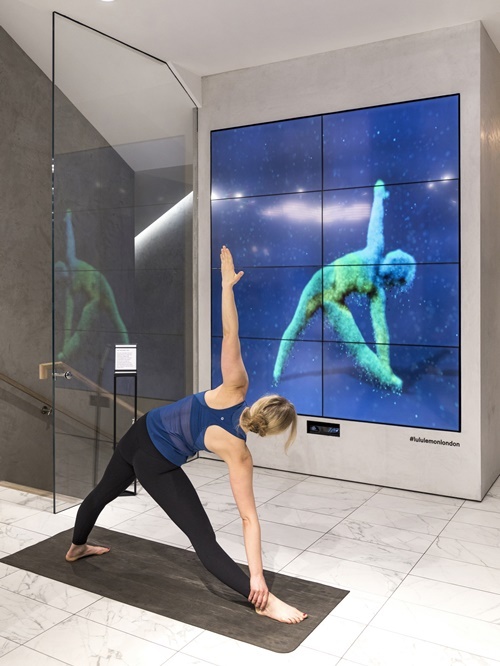 Dalziel & Pow has created unique in-store experiences for retailers including Lululemon. The idea behind the unique engagement proposition (UEP) is that retail experiences do more than simply serve customers—they engage and influence shopper behaviour, increasing sales and building brand awareness. Wright said younger consumers in particular are looking for immersive experiences that blur the lines between retail, hospitality and entertainment, and smart retailers are challenging conventional store formats and diversifying in-store experiences to increase dwell-time. In order to find a store’s UEP, Wright said there are six pillars to consider. Wright pointed to UK baby store Mamas & Papas (pictured) as an example of a retailer nailing this approach. “The brand’s purpose is to give young families the best start in parenthood, and this informs an experience where the role of the store is to provide a sanctuary for these new mums and dads that reassures and inspires. Ultimately, Wright said retail is about giving shoppers a reason to shop.